Hello ll, sorry for the long message. I have a 2016 Jaguar XF-S (OE tires are Pirelli). I am having a reoccurring problem with the passenger side rear tire. The tire wears down to the steel belt on the very inside thread closet to axle but the rest of the tire is fine. I bought the car new from Jaguar. Brand new, no accidents, never hit a curb or anything. 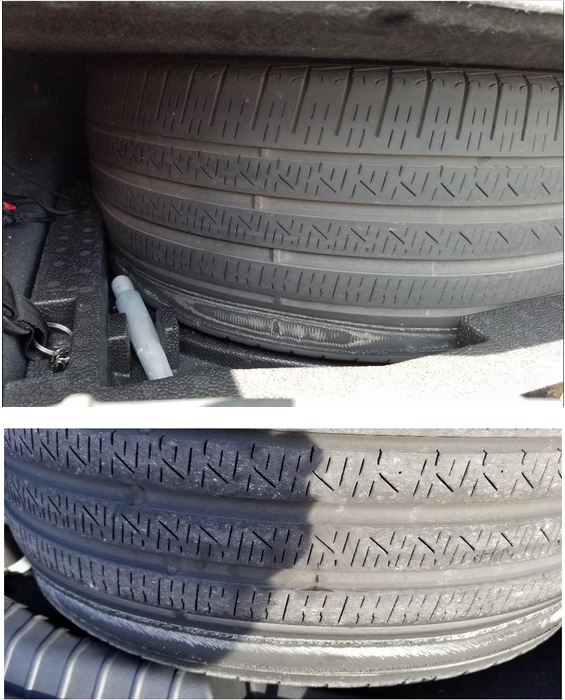 After about 10K miles of driving the rear tire went flat and upon inspection from an authorized Pirelli Tire dealer they said this type of tire wear is unusual and he thought it was "a problem with housing or structural". I then was told by Jaguar USA to take the car to the dealer where i bought it for inspection. The dealer told me they did not find anything wrong with car (alignment etc). They put new Pirelli tires on the rear of the car, Jaguar USA paid for them and said everything was fine. 10K miles later the same exact problem, another flat and then I took the car to a different Jaguar dealer to service the problem. They checked the car out and same result, they could not find any issues and Jag USA paid for new Pirelli tires again. Fast forward another 10K (now my car has 30K miles/2.5 years later), about 2 months ago I notice the car pulling to one side and shimmying when accelerating. I recognized this behavior from the two times before and this time I got down under the car to look at the tire and yes the same tire was in the early stages of the same issue. 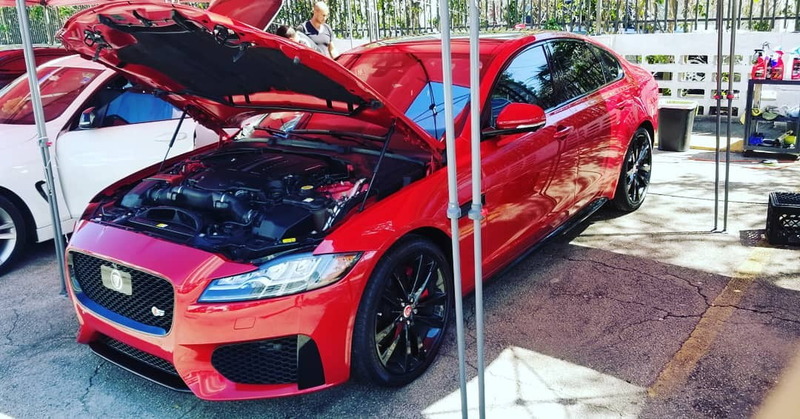 I drove it for a few more weeks and I got a slow leak and this past Thursday I took it back to the dealer and also called Jaguar USA to report the problem again. Jaguar USA called me back and said that they are not paying for the tires because after researching this tire 10K is the average lifespan. So I asked why did you pay for the tires twice before an she said that was just an act of goodwill on our part. I then said why the grossly uneven thread wear on that particular tire every time and she did not answer that question and just offered to call the dealership to let them know that Jaguar USA would not be paying for the cost of the tires. I find her reasoning odd and frankly a cop out. Anyone have this problem? Seems to me even if this tire was rated to 10K miles the underlying issue with this thread wear is not normal. I mean at 10K miles other than the area the is worn down to the belt the rest of the tire is perfectly fine. When she's clean with new tires she's great. Bottom tire was after first 10K miles after I bought the car. The top tire was at after 20K miles. Happening 3 times to the same tire. Naw I ain't buying it. That wear is very indicative of something slightly out with the alignment, It could be as simple as a measurement on the outside of the spec, but still "technically" within tolerance. Since the car is independent rear suspension, you have camber and toe in, as well as thrust angels to contend with. Something is out, but probably not by much. I think i would ask to see the alignment specs/ printout, and compare the readings for the rear, especially the difference between right rear, and left rear. You may have a reading at one end of the tolerance on one side, and the reading be at the opposite end of the tolerance on the other side. It may be that simple. Hope it helps. This isn't something simple, it's major. Wear like that is indicative of either something grossly out of alignment or something broken. Being the rear there's no simple adjustments so I'd look for out of spec parts. You could be correct it may well be out of spec parts. But i disagree, if it were something major, the tire wouldn't have lasted 10,000 miles. Somethings afoot for sure, but the wear is consistent across the tire. It has worn flat and evenly, not chopped up as it would be if something was out majorly. Even though it does have exaggerated wear to the inside. Major misalignment shows up quickly, usually within a few hundred, and most surely by a thousand miles. Most of the time the tire is chopped up or feathered badly. He stated it has never caught a curb, or had any kind of accident, so out of spec parts could be a good place to look. Check if tire is catching on something during cornering. Wear strip is too thin to be alignment issue, unless it is stanced car. What condition are the other three tyres in? How long before they had to be changed, if they have? No mention of these at present. I'm getting even wear and with my measurements I forecast at least 50K miles from my tires. I rotate every 5k miles. Don't know if it's the lighter weight or chassis balance but it's the best wear I've ever had on a car. I drive 80% city so my wear should be higher. The tire wear says too much toe out regardless of what the machine or specs say. I pushed jaguar to change the front toe specs of the sytpe for the same reason back in 2003 and they did. I was aligning the cars in the red with toe in out of specs and all my cars were coming back with even tire wear. I look at the tire wear and then what the machine shows. It was a widespread issue on the stype. I have never seen this on your model so i would want to know where the settings are at. Just cause its (in the green) does not meen its good. And then maybe you have a bad bushing or 2 on that side that allowing the tire to toe out when driving but is fine on the alignment machine. As i always say you drive on a road not the alignment rack and the suspension is under load and deflections as you drive. This can be seen easily in the front by doing a pressor bar check(akamercedes alignment) alot harder in the rear but doable. I had wear on the inside of the front tyres on my previous X350, yet the alignment was perfect. Only when the bushes were examined was it found that the front lower trunnion bushes were starting to fail and allow toe-out whilst driving. This wear was detected after I came back from a holiday in Germany that involved a lengthy journey out and back, with nearly 3000 miles completed drive-way to drive-way. . These were replaced and all was OK, and the tyre wear had not gone too far to need them replacing. "once is happenstance, second is coincidence, third time it's enemy action !" The tire wear says too much toe out regardless of what the machine or specs say... I look at the tire wear and then what the machine shows..
+1 If I'm getting even tire wear and good tracking and cornering I don't care what the machine says and won't let them align. is your setup staggered ? i apologize, but not super familiar with your wheel / tie setup. my older 2010 has 285 width rears and i've since put 295's on back. anyway, i noticed inside rear tire wear excessive compared to rest of tire due to what appear to be lots of negative rear camber. you can see it dramatically different than the front end just looking from back side of car towards the front. I've inquired a bit and seems the cars have no adjustment for rear camber. the gents that lower their cars make it worse yet. That just shouldn't happen. Something is definitely not right. Do you have any update on this situation? I Have a 2016 R Sport AWD that has the exact same problem. First question I would be asking is 'what are the other three tyres like' ? Take it to an independent tyre shop and get them to do a check on the alignment, not to perform one but just to get a readout so that you can assure yourself that the alignment is within spec. If it is then I would be inclined to take big steps away from the car and purchase another one. If its out take the readings back to Jaguar and have an augment.